The Wii U eShop has come a long way since launch, though the day one line-up did also have some rather enjoyable options on offer. The library was particularly slow to grow in its first year, but an influx of excellent titles has since flowed. The platform's support for Unity and various tools in the Nintendo Web Framework have contributed much, while a broad variety of developers have taken the plunge on Nintendo's latest download store. Just recently we shared our staff's picks for our top 10 Wii U retail games so far, and now it's the turn of download-only games. We did make the call to exclude the Virtual Console, however, as we opted to focus on new titles rather than the availability of retro classics. Once again it's been an entirely democratic process, too; in total 12 staff members contributed votes for their personal top tens, with a total of 33 games earning at least one point, a testament to the variety on offer. This top 10 will have 12 games listed as the result of ties — once again some games were too close to separate even in a voting system. As before voting results like this are at the mercy of what games multiple team members actually own, which means — inevitably — that some niche releases struggle to accumulate points. Without further ado, let's reveal the top ten. This remains one of the most unique and intriguing games on the eShop; it's a system exclusive party game. With players focused on the GamePad, there are various co-operative challenges that involve quirky activities that typically utilise the Wii Remote — great with friends and, it must be said, in a spacious playing area. We think the retro-leanings of many staffers is showing here, as this is the continuation of the much-loved puzzle series Dr. Mario. As it was the Year of Luigi when this was released the green one gets centre stage, serving up various modes, GamePad-only variations and pretty decent online options to keep fans happy. A Wii U exclusive from Dakko Dakko, this is a relentlessly challenging on-rails shooter, though we mean "on rails" literally, not as a genre description. You navigate along walls, jumping and shooting enemies while attempting to rescue stranded cats. An enjoyable challenge with bright, colourful visuals and interesting use of both screens on offer, this is certainly one to keep in mind for skilful gamers. WayForward showed day one support for the eShop with this enhanced re-release of its popular 3DS eShop title. The enjoyable level design and action puzzles are all present and correct, while this also has revamped visuals over its predecessor. One of the best titles on the 3DS eShop is, perhaps unsurprisingly, among the best on the Wii U eShop, too. From the minds that made such an impact on WiiWare with World of Goo, this Tomorrow Corporation release was another day one arrival on the Wii U's store. This is a win for quirky, almost obscure design, as the gameplay and puzzles here are tackled with the simple act of burning objects. Utterly peculiar yet with an undeniable structure to be followed, this is certainly an interesting experience on the system. A relatively recent arrival, this adventure has a storytelling approach — not to mention humour — that certainly brings point-and-click LucasArts adventures of the '90s to mind. It's entirely off the wall, blending puzzle solving with some elements of stealth platforming; it also makes fun use of the GamePad to read minds. One of the most unique experiences currently available on the Wii U. Votes for this were based on all or a combination of the three titles released so far: Tennis, Bowling and Golf. Perhaps it's the happy memories of Wii gaming that helps this one win votes, though it must also be said that Wii MotionPlus controls and innovative use of the GamePad in Golf take these titles to another level from their namesakes. With online play and a regional 'club' structure, too, these downloads will soon be completed with Boxing and Baseball, while a retail compilation is on the way. Just as in the retail list, a Ubisoft title takes fifth place. This is a gorgeous adventure RPG that utilises the UbiArt engine, in which all dialogue rhymes and it explores a lengthy (by download standards) tale of a young girl trying to bring light to the world and return home. Stunning presentation values are supported by well-structured gameplay mechanics, making this a title well worth everyone's consideration. It's such a simple idea, and has no doubt been done by coders messing about with ROMS, but Nintendo has certainly scratched an itch by messing around with 8-bit titles. This second entry served up more entertaining NES games with quickfire challenges and quirky do-overs, while throwing in a 'Tournament' in which you blast through three games and Super Luigi Bros., a reverse run of the Mario original with Luigi's higher jumping thrown in. Perfect for retro fans or young gamers keen to see what the fuss is about. The combined work of Capcom and WayForward, this brings back a retro classic with hugely attractive visuals. It doesn't skimp on the challenge, either, retaining the core feel of its 8-bit origins and potentially leading to thrown controllers around the world. Cruel moments are easily forgiven with such a rocking soundtrack, it must be said. The BIT.TRIP games are among the most popular on WiiWare, so this full on runner sequel from Gaijin Games unsurprisingly got a lot of attention. The great thing is that it delivers on expectations, as you run, slide and kick your way through multiple worlds and increasingly challenging levels. With collectibles, multiple difficulty settings, online leaderboards and voice-over work by Charles Martinet, this is likely to stand up as a classic for years to come. We're Nintendo Life, and we're retroholics. Beating out its sequel not just because pretty much the whole team bought this one when released in the 2013 Holiday season, but arguably because its challenges and remixes are, overall, a smidge more exciting. It's a tough result on new indie efforts, in particular, yet the relatively simple idea of rejigging NES games is executed brilliantly here, in the process also introducing more players to these 8-bit experiences. We'll have SNES Remix now, please. That's it, our Wii U eShop top 10 so far. Special mentions for those that narrowly missed out go to Trine 2: Director's Cut and Giana Sisters: Twisted Dreams which were both very close. There are certainly an impressive range of games on the way to the platform this year and beyond, so brand new favourites could be just weeks away. Those are the choices of the Nintendo Life team of present. Let us know your thoughts or provide your own lists in the comments, while you can also vote in the poll below. we need sports club baseball to hurry up. but then I realized this was for Wii U.
NES remix is probably the worst game in the eShop, imo. Don't know how it made it to #1. Scram Kitty should've at least been at 6! I agree with the rest of the list though. Where is Toki Tori 2+ or Ilttle Dew? I really enjoyed Child of the Light. Ubi's games look great on that engine. I might get one between child of light or stick it to the man but not for now. I'm still undecided which. Anyway, if there's one to ask about which are the best download/indie titles, it will be that mad Australian dude. he seems to be a big supporter of indie and 3rd-party download games judging by his comments I came across. I'm interested to see his list. I am surprised that Squids Odyssey, Unepic, Giana Sisters, or Cloudberry Kingdom never made it on.... Also, what about Castle Storm, Dungeons and dragons and Ittle Dew? Surprised Duck Tales made it in, it didn't turn out as people were expecting. I didn't like Mighty Switch Force Hper Edition, because it had one stupid difficulty spike. I have however finished it on 3DS. Interesting list. 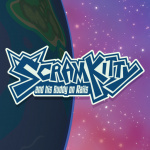 For me Scram Kitty would be my number 1 eShop game, followed by probably Ducktales and NES Remix 1. As I think I have said before, the fact that so many fan favorites are out of this list goes to show how many good and great eShop games we have now. 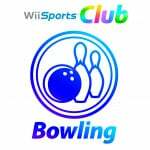 I went with Wii Sports Club. My opinion varies a lot from this list. Trine 2? Nano Assault Neo? Child of the Light. I love that game to bits! Was shocked to see Steamworld Dig missing, then remembered it wasn't on Wii U yet! Child of Light, by FAR for me. Such a fantastic game. I've not been impressed by the eShop selection at all. Steam World Dig and Guacamelee are gonna be the first really great indies as far as I'm concerned. Nintendo need to work harder to try and get the really good stuff. People won't agree, but Sony trumps in this aspect, as you can buy an indie on PS3/PS4 and get the Vita version to play free, and they have cross save so you can jump back and forth between console and handheld. If Nintendo can match this with the selection of great indie games and cross buy, then it would be huge. I don't believe Ducktales: Remastered should be on this list. It was available both digitally and retail on the same day. Not because it can't compare to the others, but because it belongs on another list. It's just like saying Mario Kart 8 should be on the list because it's sold on the Wii U E-shop too. 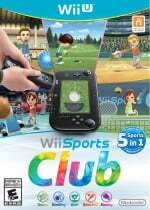 Agreed with others, DuckTales has a physical version, of which I have, also Wii Sports Club is going to have a physical version for the west in July so that makes that one awkward too. Trine 2, Knytt Underground, Cloudberry Kingdom, or Unepic anyone? This Bumpie's thing needs to be put to rest. It's like the one eShop game I'm really sick and tied of seeing cause anyone I know who's attempted it says it's weird and who's even going to actually play it? Ducktales Remastered shouldn't be on the list because the NES game is better even after all this time. I can imagine Nano Assault Neo is good. (Demo seemed just right and the 3DS version was good). Didn't think much to Stick it to the Man or Little Inferno. 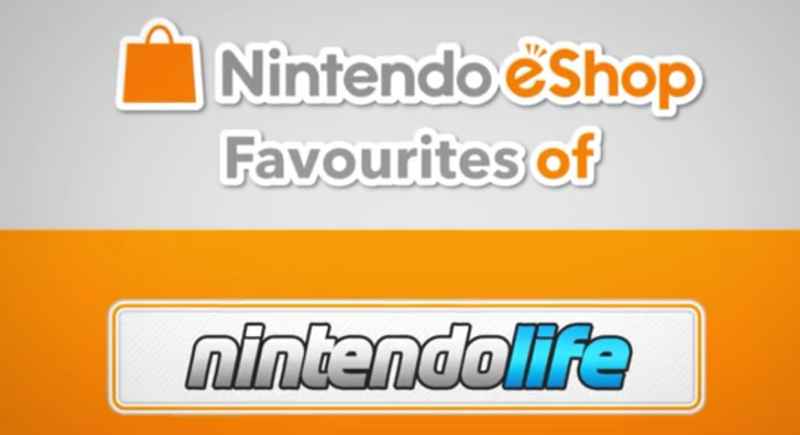 Wonder what would be in the top 10 Wii U eshop exclusives. (Can imagine by 10 it would really be scraping the barrel). I thought Unepic was good enough to make the top 10 anyway. Little Inferno had such an impact on me in the last chapter, and all the rest was so weird, original and darkly comical, I won't forget this game ever. Therefor, it's my favourite. Like World of Goo was for WiiWare. Atmosphere creates lasting memories, and that's a winning factor for me. I was tempted to choose Child of Light for the poll because it's the only one of these I've even downloaded, but I haven't had a chance to sit down and play it yet. Fortunately, that will change in a week's time. Good choices with Little Inferno, Ducktales, Bit Trip Runner 2 (although not as good as the original Wiiware) and Scram Kitty - all fantastic eshop titles. Unepic and Ittle Dew are my faves so far. So of course neither of them made the list. Honorable mentions for Trine and Knytt. But it is worth noting that I haven't gotten around to Little Inferno yet. Any plans for a retail/eShop 3DS list? Maybe NL meant with eshop titles are those games priced at 20bucks and below. I chose Child of Light, but it was really close between that and Little Inferno. Both of those games are really atmospheric and stick with you for a long time. I don't know if I like this list as much as I like the other one. But then the Wii U eShop isn't really that stunning yet, especially when you take out the VC. It has three or four standout games but nothing that really puts it on par with other downloadable services. I'm really hoping that changes in the next few months because I really do think the eShop and Wii U VC could be THE place to check every week for the system. By the end of the Wii's lifespan there were so many good Wiiware and VC titles I had to come to this site to figure out what to get, and the 3DS is really hopping too (especially considering it has backwards compatibility with DSiWare). The Wii U really needs to step up its game in this respect... we know it's possible. That game looks brilliant imo. Nano Assault Neo is great. I think NES Remix 2 is a bit better than NES Remix because of its game selection. @Peach64 Not that huge. Indie content is nice but even the deepest and highest scoring titles don't factor in heavily for most when at the store purchasing a console. I also think eShop could get everything PSN gets indie-wise, and few people would give a darn, as in sales wouldnt go up. Definitely Little Inferno. It's a scorcher. 4. 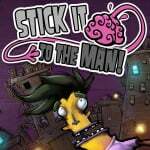 Stick it to The Man! It's all about Child of Light for me. What a beautiful experience. In my opinion, it's not only the best e-Shop game, but the best game Ubisoft has put out on the Wii U, period. Wow, you guys will not only put up with, but actually flat out recommend a lot of trash. Half your list is reissued or remixed. Does that even deserve to be a viable choice on a 'Top 10' list? Don't you honor effort and innovation? You guys definitely dropped the ball on this one. Look no further than your own review scores. Castle Storm, Giana Sisters, Ittle Dew, Cloudberry Kingdom (which I really didn't like), Nano Assault Neo, Unepic...each one of these scored an 8/10 or higher in your own reviews and easily top first four games listed here (10-8). NES Remix was great, but #1 seems kind of silly for a compilation of 30 year old NES games. And Runner 2 got old way too fast for my liking. If that even makes the list, I would put it around #10. Toki tori 2+ should be on that list. Child of light should be higher too. I like stuff like swords and soldiers, though I agree it may not necessarily be top ten material. It's great fun however! NES Remix, NES Remix 2, Duck Tales Remastered, Mighty Switch Force, Wii Sports, & Dr. Luigi are all rehashes of older games. That's 6/10 (or 11 since they have two #10s. That's ridiculous when there are all those other games I listed that are getting no love. 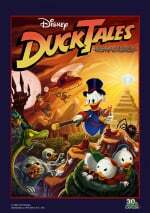 I bought Ducktales (played it on the NES a lot!) and Scram Kitty. Both were fun but didn't live up to my expectations. I'll probably go for Child of Light when it's on sale. @Magrane: They released it later on disc but originally it was an eShop game. I've only played Mighth Switch Force (3DS), Little Inferno (PC), Trine 2 (PC) and DuckTales. I think my favorite of those is the Scrooge starrer. The next ones I'm buying are Child of Light and D&D. I personally love Toki Tori 2+ and EDGE, but hey, opinions are opinions right? Child of Light is really good as well though. Except for the last two or three, I love all of these. Really tough to pick just one I like more than the others. Can't wait until a few more good ones come out so I can have a list full of fantastic games. No Nano Assault Neo? I'll not quibble with the selections here as they are all competent-to-exceptional games, but to overlook the BEST Wii U eShop launch game is harsh. It is symptomatic of the disappointment with the Wii U that 5 of these games are ports, remixes, or re-releases. At least Nano Assault Neo was new. Trine 2 will always be my eShop favorite. Counting only games I got on the eShop, (I have Ducktales on PSN), NES Remix 2 is the best, in my opinion. 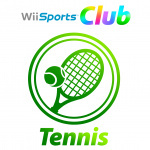 Still don't understand why people like Wii Sports Club. Little inferno is the most underrated 'game' EVER!! Most reviewers don't even finish it and ruin the whole experience, it's seriously my most emotional and trully interesting e-shop game, nay, game ever! Still not the best though, LoZ WW:hd takes that crown. Child of Light for me. Words cannot express how much I love that game! Once I finish the backlog of games I have yet to finish, I'll probably start over with Child of Light. @MixMasterMudkip Because it's Wii Sports, but better and with a respectable online component. I mean, the training modes are some of the best mini-games I've played in a looong time. A cheap rehash of thirty-plus year old games wins? Ouch. I agree. I prefer quality over quantity and the eShop is lacking in both departments right now...at least for my personal gaming tastes. Fortunately, the ball will start rolling soon. Shovel Knight will be on the eShop by the end of the month and there's quite a few others notable games that will be there by the end of this year. Wow, the editor's picks for this list are really bad, to the point where I wonder how many of these games they've actually played. NES Remix being #1 in particular is rather horrifying. Child of Light at the very least should have been #1 on the list. Scram Kitty, Giana Sisters, Little Inferno, and Stick It to the Man should have rounded out the rest of the top five. I have to wonder: Where will Shovel Knight hit on this chart? Only eighteen days to go! I would consider nes remix 1 and 2 as a single entry, but other then that I cant complain. Shovel Knight will soon be #1! I can't really vote here except for Wii Sports Club (thanks trial offers), but what I did play of Wii Sports Club Golf was kinda cool and seemed like something that could last so I voted for that. The others don't seem appealing to me really. Oh wait! I forgot my brother downloaded Dr. Luigi but it's a Dr. Mario compilation with added features and it isn't exactly that fun to me. Wow, the list of eshop games sure beats what's available at retail. Pleased to see Scram Kitty here, but I'd bump it all the way to #2. I've not enjoyed a challenge this much since, well, NES Remix, I suppose! @CanisWolfred The controls are awful on both Tennis and Golf though. Bowling is the only one that is actually good, IMO. It's the only game I've played on the system where I've had to recalibrate the Wiimote after every swing. If it's just me I don't see why that's the only game that throws the controller off so much, but if it weren't for that I could actually enjoy it. If we had Unepic, lttle Dew, 1001 Spikes & Scram Kitty they would be on this list. Between Stick it to the Man and Child of Light, I chose the former. That was a difficult choice, though. @Magrane The physical version was released well after ... at least in the States. 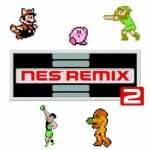 How can ANYONE place NES Remix 1 over NES Remix 2? NES Remix 2 had better games and challenges. Nano Assault was good as was Toki Tori 2. Wii Sports Club is good. As are Art Academy & WiiFitU! I'm sure it's been said but Toki Tori 2 at least deserves a spot. It's still the best eShop game I've played on the Wii U.
Oh come on, Runner 2 deserves way more recognition than NES Remix. Best game on the eshop BAR NONE. @HappyHappyist hereI agree. NES remix 2 was pretty cool bit the forst was an utter waste of time. I know it's new, but...1001 Spikes is amazing!!! This list is definitely better than the list of "best" retail games. I still can't believe that the garbage otherwise known as "Game & Wario" could have been liked by anyone. Edit: Most of the other games on the retail list (especially Mario Kart 8) I prefer over any of these, I'm just blown away that anyone voted for the bag of awful that was Game & Wario. There are two games in 8th place, huh...? Haha! I'll definitely check those titles. I'd have included Nano Assault Neo, Trine 2, UnEpic, Toki Tori 2 and Runner 2 in the list. @bonham2: Sorry, yeah, I was trying to be kind. This is an embarrassingly bad list and it does the WiiU a great disservice. If these truly were the top ten eShop games then Lord help us. The tablet ports like Castlestorm and Little Inferno I'd get on a tablet. They're a lot cheaper there and have much more responsive gameplay thanks to the capacitive touchscreen. For me is Darksiders 2, the best deal for a great game I got so far. I downloaded how 2 survive the other day and I really like it, I'd like to see more games like that on the eshop. I got Runner2 while it was on sale and it exceeded my expectations. I'm not sure how they managed to make it feel so much better than BIT.TRIP: RUNNER, but they pulled it off. That one deserves its spot on the list. Why aren't the NES remixes released on the 3DS? @MixMasterMudkip I did not have that experience. <_< Tennis worked fine for me. As did Golf. Heck, I had the most fun with Golf. Trine 2 is extremely high quality in numerous ways. I don't think the fact that it's not an exclusive takes away from it's sheer quality. 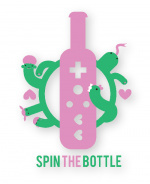 Kudos that this list recognizes the originality of Spin the Bottle though.